Enhanced content, or the below-the-fold rich media on retailer product pages, is the best way to tell your brand's story and differentiate from your competition. It also happens to be one of the best ways to improve conversion rates (by an average of 25%). 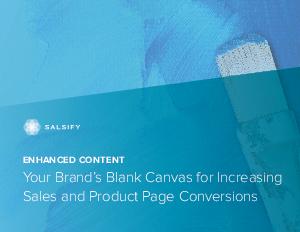 Get a comprehensive guide on how to select the best performing content for your brand and deliver it across your sales channels for the broadest impact. This new ebook created in collaboration with Hinge Consulting will arm you with the data and guidelines you need to tell your brand story across the digital shelf.